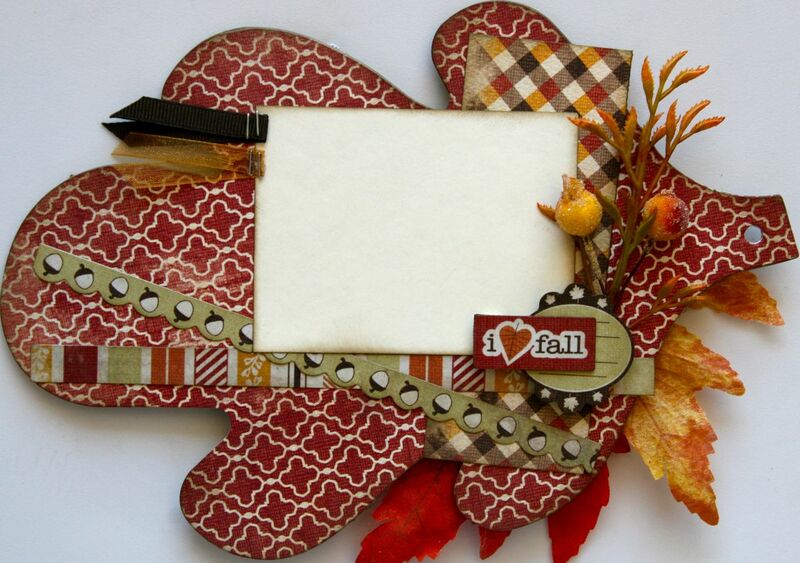 "Thankful" Fall Mini Book with GoGo Girl Scrapbooking! We have a very special guest feature on the blog today! 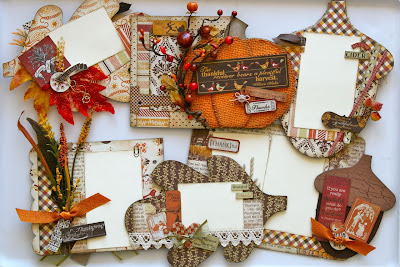 For those of you who don't know Traci from GoGo Girl Scrapbooking yet, you are in for a treat! 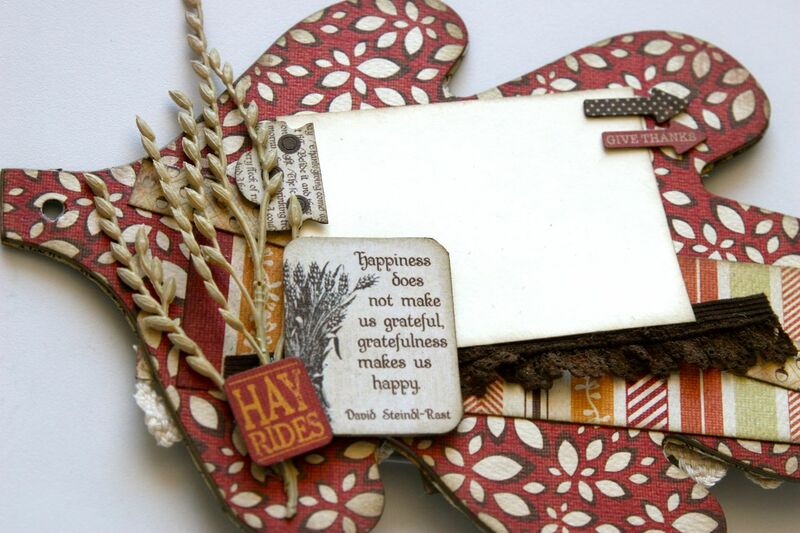 Traci has a monthly kit club on her website and she always produces amazing projects & kits to go along! 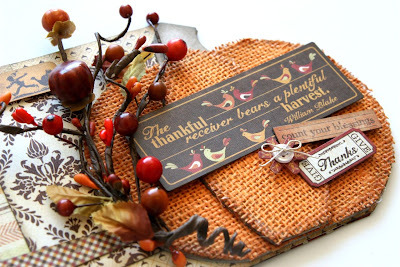 When we saw her "Thankful" Fall mini book kit, we fell in love. We wanted to make sure that all of our fans were able to see this project, Traci was so kind to provide us with a little write up about her kit and also some tips to help when making your own altered projects! The new Authentique "Thankful"collection has been beautifully produced with elegance. Today we are featuring a fall "Thankful" mini book from Gogo Girl Scrapbooking. All the papers and Embellishments from Authentique's "Thankful" line just reminds me of the classic fall traditions that each of our families have, whether its going to grandmas house for turkey dinner, walking the pumpkin patch for the perfect pumpkin to carve, or just raking the leaves in the back yard. I look at it and immediately think of pumpkin bread cooking in the oven and happy times. 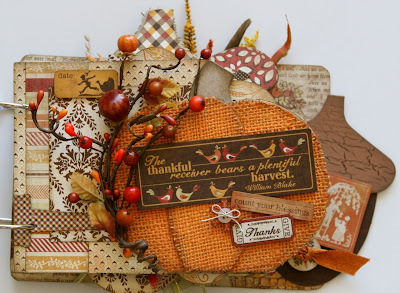 This pre-cut kit is ready for all your fall photos, from picking pumpkins at the pumpkin patch, to turkey dinner on Thanksgiving day you could not display your photos in a more beautiful way. The chipboard album has been custom made so you will not find it in any stores. You will love the orange burlap pumpkin on the front cover that is embellished with a beautiful fall sprig. 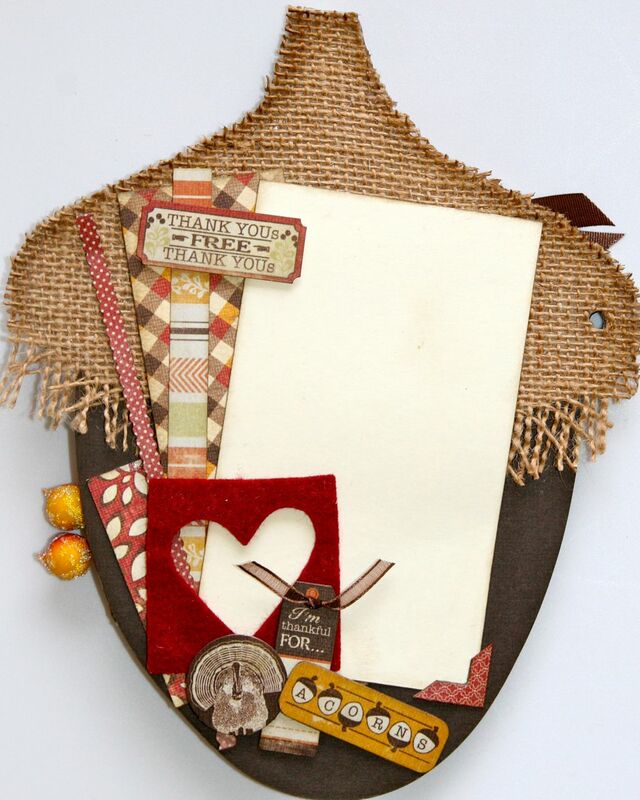 The acorn and leaf pages are bursting with all the Authentique "Thankful" embellishments. 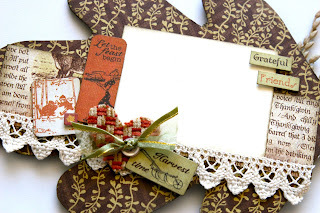 This pre-cut kit is ready for you to put together with pictures and detailed instructions. Tip 1: Use great quality papers like Authentique. When working with paper you can see and feel the difference. When trying to do techniques such as paper rolling or just the basics of distressing the edges of the paper you will find the better the quality of your paper the better your finished project is going to look. Tip 2: Add texture to your project. Small elements such as fabric, metal, feathers, corrugated board, etc. can change the whole look of your design. Variations of rough and smooth surfaces will give your project life and dimension. Tip 3: Don't be afraid to try new Techniques. Part of the creative process is doing something new. I love getting lost in a project, when all the troubles and worries of the world fall away because my mind is so consumed in doing something new. The best part is when I can look at what I just created and feel such a satisfaction. There are those times when what I thought I was going to love doesn't turn out how I envisioned but then there is always a sticker or an extra piece of paper to cover up what I don't like. Tip 4: Group your embellishments. I always group my embellishments to create a focal point. When you have stickers and embellishments floating all over the page it causes the eye not to really focus on any one thing. Making a focal point is the element that pulls in the viewer's eye. I usually do my grouping at the corner of a picture so that it becomes the main focus. Tip 5: Arrange everything in layers. With so many beautiful papers in one line you need to layer to show them all off. 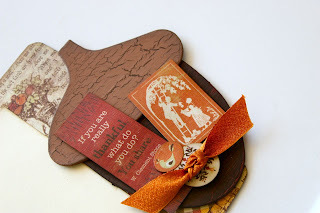 Layer your chipboard and embellishments this brings in Dimension. Layer your stickers using pop dots. When you layer your project becomes so appealing people can't help but want to touch it. Layer, layer and layer. Tip 6: Ground everything. What I mean by this is many times you will see a page layout with photo's just laying on the page. They all just seem to be floating. By adding horizontal or vertical strips of paper you create a picture surface (a ground) to the images. When you use a ground you create a sense of stability to your photos and to the layout. Thanks for stopping by today! Don't forget to visit Traci's website and blog and tell her we sent you over! 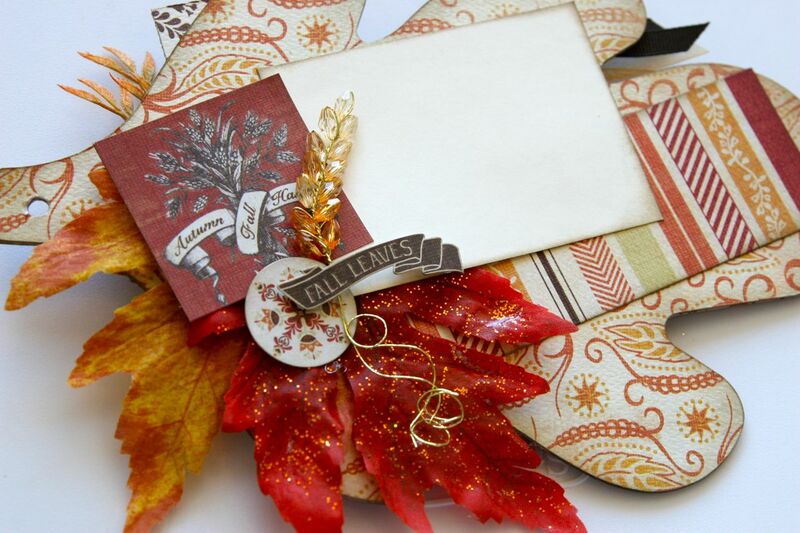 This mini is the epitome of fall! It's absolutely gorgeous! Beautiful album full of wonderful details! Love it ! I just love mini albums and tis one is gorgeous. Wow...this project is amazing! I love all the embellishments and detail! I LOVE it!! all the burlap, embellies and details are just right!! gorgeous!! Love the emphasis of texture with this album, especially the burlap. So Fall, so beautiful. 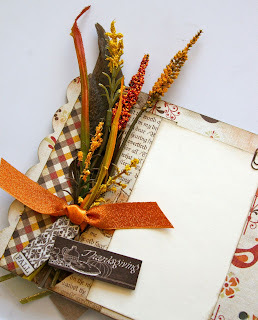 Love all the warm colors and textures in your mini album, and such cool variety of pages ! That is a great collection, I have some of those papers! Absolutely stunning project. WOW. Thanks so much for sharing this and all the steps! I'm in awe! This is a beautiful mini album. The colors are all vibrant and just scream fall. I love her tips too! Great tips and the best advice was to try something new! Gorgeous sums up this album! This is so perfect for any Fall pics. Thanks for sharing . i.love.this SOOOOO much :) I want it. I need one just like it!!! Beautiful job! Can't say enought about the nut background. It is beautiful and inspiring for me. Thanks.